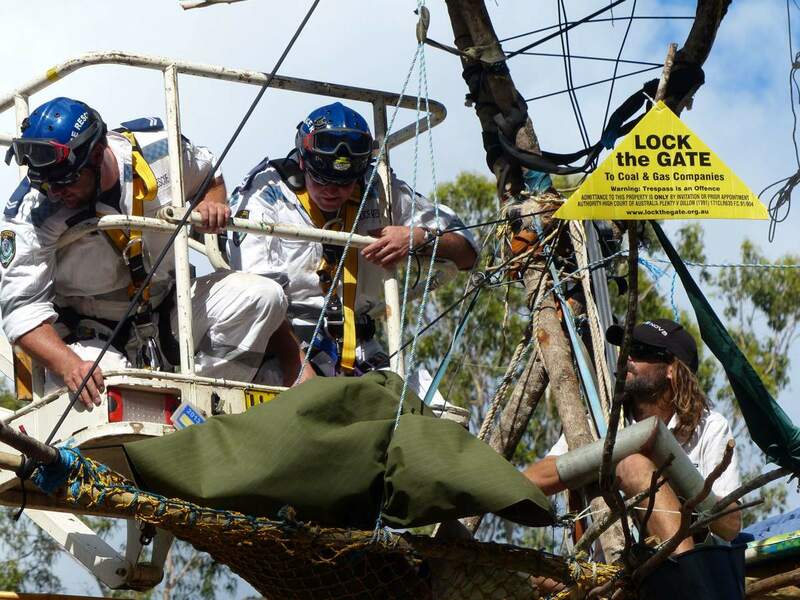 The Glenugie coal seam gas blockade near Grafton NSW provides the clearest indication yet of what life is going to be like for any gas company that seeks to invade unwilling communities to commence drilling or extraction of unconventional gas. Glenugie is historic as the first self declared “gasfield free community” to have witnessed the invasion of drilling equipment. What has resulted is a successful 48 day long blockade spearheaded by local residents, expensive delays for the industry with drilling equipment confined to the gas company’s compound for most of December, and ultimately an unsustainable allocation of police resources to force access to the site. All of this, and all the gas company has achieved is forcing access to install a single test bore. What the gas company (Metgasco) now faces is a more determined, more experienced and more mobilized region than ever, determined to fight it site by site, community by community and well by well for as long as it takes. The massive contingent of riot police committed to the Glenugie protest on the 7 January proves just how scared the gas industry and the compliant state government are of the rapidly growing mass social movement against unconventional gas. The heavy-handed response is not only predictable it is also utterly pointless and futile. The state government may be able to employ highly expensive shock and awe tactics to overwhelm one rural community for a day but it has no game plan to deal with the fact that the industry will face this level of resistance or more wherever it goes in the Northern Rivers, and increasingly in other regions across the state. Clearly the government hopes it can win an early advantage by overwhelming the first community to make a stand but this simplistic political analysis is deeply flawed. The movement against coal seam gas is not only a remarkably mainstream movement that enjoys massive popular support, it is also ubiquitous. The gasfield free community strategy started in the Northern Rivers and has spread virally, and is now being adopted in other communities around Australia. The process for establishing gasfield free communities involves comprehensive neighbor to neighbour contact, mobilization and the completion of local surveys. These local surveys indicate the massive level of opposition to unconventional gas. In the Northern Rivers the early surveys around Lismore revealed support for csg free communities at around 90 percent. This was verified independently by the Lismore poll conducted by the Australian Electoral Commission that recorded a massive 87% vote against CSG development. Since then surveys have revealed similar levels of support across all local government areas in the region. Once established, gasfield free communities also begin to organize for local defence against invasion by gas companies. 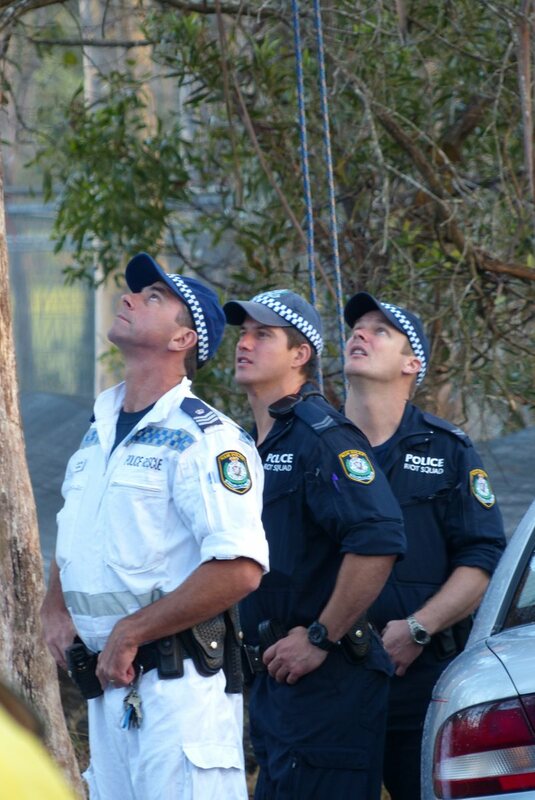 Gasfield free communities are like a cross between neighbourhood watch and the bushfire brigades. They see all and can respond quickly. Glenugie was simply the first cab off the rank to prove how powerful this process can be. In every place that the gas companies go they can expect to find local resistance ready to meet them. Local communities form the core of resistance but also generate supported from other communities across the region because what is abundantly clear is that if you want to stop gas companies invading your own community, the best place to start is by defending the communities who are on the front line now. This combination of local resistance and regional mutual assistance means that Glenugie has simply shown us what to expect for the future. The government and gas companies may be able to bully and overwhelm the people of Glenugie, but they do so at massive political cost, as well as massive economic cost. The massive police operation was simply a ‘festival of force’ for a single day, and is not a useful model for dealing with community resistance for the other 364 days of every year. The gas company cannot sustain a business model based on resisted invasion site by site. Metgasco’s share price reached records lows twice during the December stand off at Glenugie. Any reprieve based on false investor optimism following the massive temporary mobilization of police at the site will be short lived. Metgasco is dependent on accessing gas reserves in a region that is determined to stop it. A pyrrhic victory for a day, overwhelming a community by force is not a sustainable business model, nor can the government sustain the fall out in the longer term. Communities are resisting in the Hunter, in the Central West, in the Southern Highlands, Illawarra and now even Sydney. The gas companies and the state government are on a hiding to nothing if they think they can achieve the great gas invasion by force. The Glenugie community will continue to resist the invasion by Metgasco, and although they may have a single test bore to deal with now, we can be sure that Metgasco will think twice before returning the region. Let me predict that Metagsco will ultimately decide for supposedly ‘economic’ reasons that Glenugie is not where they want to engage in gas production in future. That community has not been defeated, they have forced the government and the company into massive expenditure on a hollow victory; time will confirm the power of local resistance. Meanwhile, lessons have been learned, deeper alliances have been forged across communities and throughout the region and the strength of the movement to resist the great gas invasion continues to grow. Politicians and corporations are vulnerable, communities are resilient. Communities will not go away, they will not die and their consent cannot be obtained by force. It will never be safe to invest in an industry that is dangerous, untested and toxic, but even more so where the overwhelming majority of the community is determined to resist. What we can look forward to for 2013 is an increasingly desperate state government and industry seeking to overwhelm communities by force in a self-defeating cycle. The greatest tragedy in all of this is for those brave communities like Glenugie who had the unlucky role of being the first to stand up against the great gas invasion, and who have been treated so abusively by their government. Thankyou Aiden, of all I have read, and for all those trying halt this insidious industry in their tracks your article was uplifting :). So many many people are still unaware of what Fracking entails unless it arrives in their backyard so to speak. So many people I have spoken to think it is such a better alternative to other fossil fuels such as the big coal mines not realising its not just a matter of drilling a hole in the ground and getting gas out. Increasingly though the more people speak out, the more protests, the more media, the more they may look into what is really happening with this industry and stand up to be counted to stop it! Aidan, thank you greatly for your work, I was at the blockade at Glenugie yesterday and was proud to be part of it, I spent most of my time breaking down the trained minds of the police and riot sqaud to help them learn about the issues of CSG. I have obtained a copy of your book today to help me help others towards understanding the value of health not wealth. A very powerful and clear overall view of the situation. I haven’t been at the blockades but i have been using art to get the anti-fracking message across. I have an artwork showing this in the Tweed River Regional Art Gallery at present. We also penned an award winning anti CSG song at the CSG Idol contest. With a combination of peaceful confrontation and creativity people power can overcome. It has to! Still preaching to the converted. Wait till we really get organised. Start writing a list of what is needed to move 1,000 people from site to site, I think we will get financial aid from many who are opposed and affluent.